New Delhi [India], Oct 17 (ANI): Pakistan is seeking foreign aid to tackle its sagging economy and Saudi Arabia is one of the most important investors that it needs to get its hands on, opines Arif Rafiq, who authored 'The China-Pakistan Economic Corridor: Barriers and Impact'. In an article, titled "What Is Saudi Arabia's Grand Plan for Pakistan? ", published in The National Interest, Rafiq notes that the first foreign visit of Imran Khan after taking over as Pakistan's Prime Minister was to Saudi Arabia in a bid to woo Riyadh to invest in energy and mining in Pakistan. "It appears that Islamabad asked Riyadh to park funds close to $10 billion with the State Bank of Pakistan-well before these investments achieve financial close-to shore up Pakistan's forex reserves in the interim," Rafiq wrote in the article published on October 16. 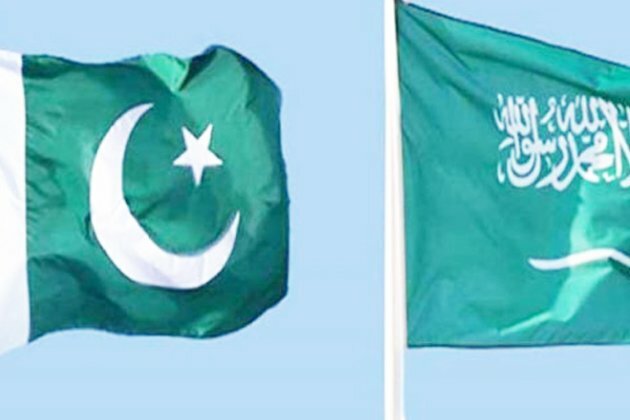 Terming Pakistan's claims and subsequent denials of inviting Saudi Arabia to join the China-Pakistan Economic Border (CPEC) as a strategic partner, as "Islamabad's scramble for dollars", the article states that talks between the two countries on several projects, including CPEC will, however, continue. Islamabad has put forth five projects including the Reko Diq copper and gold mine in Balochistan, which amounts to hundreds of billions of dollars. However, the author, who is also editor of the CPEC Wire newsletter, pointed out that last year Pakistan lost an arbitration case to the Tethyan Copper Company. The World Bank's International Center for Settlement of Investment Disputes ruled against Islamabad in relation to the unlawful denial of a mining lease for the Reko Diq project in 2011. The tribunal is expected to determine Pakistan's liability this year, which might exceed 11 billion US dollar. With Reko Diq's not-so-strategic location, that is, less than one hundred miles from Pakistan's border with Iran, the mine could be an easy target for the insurgent attacks. "Resource nationalism is a driver of the ethnic Baloch insurgency, but it also receives support from regional states," Rafiq wrote. Mentioning the suicide bombing incident by Balochistan Liberation Army, which attacked a convoy transporting Chinese engineers to the Saindak copper and gold mine, Rafiq noted that the attacker used an Iranian vehicle. "Militants with several Baloch separatist groups combatting the Pakistani state are believed to be in Afghanistan or Iran. Projects linked to the Saudis would become targets in the same way Chinese projects have been over the past fifteen years," the article states. Islamabad wants to rope in Riyadh for the second set of projects, which includes two government-owned operational regasified liquefied natural gas-fueled power plants in the Punjab province. e entity would likely require an alternate source of LNG and could even impact Pakistan's fifteen-year LNG supply contract with Qatar," writes Rafiq. The third investment project for Saudi Arabia in Pakistan is a Saudi Aramco refinery in Gwadar, the site of a Chinese-operated port and industrial zone. Just like Reko Diq mine, Gwadar shares a close proximity to Iran border. The article goes on to mention that "Gwadar is a competitor to Iran's Chabahar port, where India will operate a terminal that will be used to bypass Pakistan to access Afghanistan and Central Asia. It is an end node for the China-Pakistan Economic Corridor, which begins in Kashgar, located in China's Xinjiang region. Economic activity and investment in Gwadar have progressed tepidly when compared to other regional upstarts like Duqm in Oman and Khalifa Port in Abu Dhabi, which have received significant inflows from China, with the potential to exceed $10 billion. Investment from a global energy giant like Saudi Aramco would catalyze other investments and boost port activity." Rafiq also notes that even though a refinery in Gwadar would give the Saudis "an economic foothold in a strategic location" as it is right outside the Strait of Hormuz but close to Persian Gulf shipping lanes, and could lock Pakistan into purchasing Saudi crude, there are several flip sides to this investment. One of the limitations to Saudis' investment is the memorandum of understanding signed by Saudi Aramco with a consortium of Indian state-owned oil companies for a $44 billion oil refinery and petrochemicals complex in India. Rafiq also points that the domestic demands of Pakistan will be met if a refinery were to open in Gwadar and it would help Pakistan to save on import bills. "Whether it's infrastructure development, energy trade, or defence hardware sales, China is ubiquitous across the Middle East and has been an equal opportunity partner to both Iran and its Gulf Arab adversaries. Iran is crucial to China's Silk Road Economic Belt. And the Gulf Arab states, especially the United Arab Emirates, could be critical to its Maritime Silk Road," reiterates Rafiq. Talking about North-South gas pipeline project for which Pakistan is seeking investment from Saudi Arabia, the author observes, "Pakistan signed a government-to-government agreement with Russia to build the pipeline and supply the LNG. The two countries, however, have not come to agreement on pricing, and Rostec has struggled to find financing for the project, though reports last year indicated that China's Silk Road Fund could finance it. Russia may have difficulty supplying the LNG." He asserted that Saudi's role in the project remains unclear. But Pakistan has also invited the Arab kingdom's investment in an open bidding for exploration in ten oil and gas blocs. Noting that fuel makes up one of the most imported commodity in Pakistan, Rafiq says, "Reducing its dependence on imported fuels by ramping up domestic oil and gas exploration is critical for Pakistan to escape its boom-bust cycles that bring it to the IMF's doorstep every few years. Pakistan may actually have enough recoverable natural gas to not only meet domestic demand but also export it." The article also notes that even though under Crown Prince Mohammed bin Salman's influence, the strategic use of aid and investment has increased, there is an economic basis for Saudi investment in Pakistan. The article further mentions that the FDI from China has been going up as against going down of net inflows from the Gulf countries. But Iran has not been able to make any investment in Pakistan. nues to use economic sanctions or lawfare to force Iran to capitulate."